This week is Simplify Your Life Week. With back to school right around the corner, what better way to celebrate than to provide you with some quick and easy ways to simplify the dorm? Most dorm rooms are fairly small, not to mention you have a roommate so staying organized can be difficult. If you have a young adult heading off to college, here are our top 8 tips to help organize and simplify their dorm room so they can make the most out of their space. Often there will be times when you don’t have the time to stop by the dining hall so having storage of snacks will help you in a crunch. You can also stock up on your favorite snacks that may not be available on campus. With limited space comes limited power sources, especially when you have a roommate. These bed risers that are also a power source will come in super handy and will give you more storage space underneath your bed. Clothing space can be very limited in dorm rooms so rotating your clothing by the season is an easy space saver. In small spaces the best way to increase your space is to go up. Add shelving to your empty walls to save space and stay organized. Store shoes under your bed skirt or buy an ottoman that also serves as a storage unit. This will help make your dorm room look neater and can help keep you organized. If you have a kitchen, use file dividers to organize and store pans. Organization is key to simplifying your space. 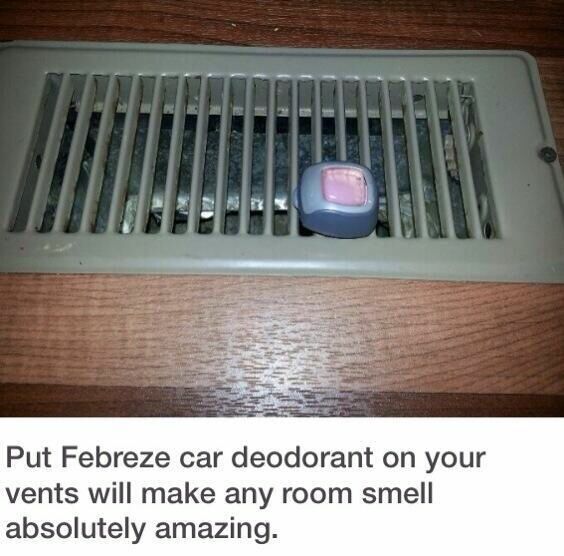 These will keep your room smelling fresh and will save you from having to use an outlet for a deodorizer. Power cords can easily get mixed together. Label your chargers with Washi tape. This is a fun and easy way to identify them and simplify your life. After your kid moves off to college, you may have some extra space in your home or may want to do some remodeling before they come home for the holidays. Contact HandyPro today and we can schedule a free in home estimate!